ROME – Proposed tax rules in Italy could soon ban the use of offshore entities when selling or advertising products online to customers in Italia. On November 4th the Democratic Party of Italy tabled a new bill with proposed changes to the taxation of profits earned by online businesses operating in Italy. 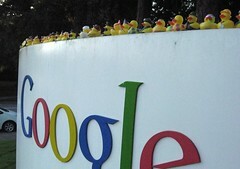 The new tax rules, already being called the Google Tax, are not applied directly to the profits raised by the online businesses, but instead require all multinational enterprises involved in advertising or online retail in Italy to offer all of their services through a locally registered firm paying income taxes in the country. According to the author of the Bill, Francesco Boccia, the changes will prevent multinational businesses from shifting their profits away from Italy and declaring them in low-tax jurisdictions, and will also lead to the collection of an extra EUR 1 billion per annum. The new rules can only come into effect if they receive the support and approval from the People of Freedom Party, the Democratic Party’s largest coalition partner.